January 18th Boulder Creek Fire Department lost one of our long time members. Fire Commissioner Jack Kuehl passed away at his home surrounded by family. Commissioner Kuehl first joined the fire department in the 1960’s and has remained a part of our family since then. Below is the obituary provided by his son, former BCFD Lieutenant Steve Kuehl. Jack Douglas Kuehl passed away January 18th at his residence in Boulder Creek after his year long battle with cancer at the age of 80. His wife Renee was at his side. Born in Flint, Michigan, Jack graduated from high school in Illinois and then attended Michigan State. He moved to California in 1960 and shortly thereafter started his lifelong career of building homes. First in Aptos, then in Boulder Creek Jack established his family home in Santa Cruz County. One of his largest building projects was working with Mr. Culligan to construct the original 100 condominiums at the Boulder Creek Golf and Country Club in 1967. His current home of Meadowood was built in 1973 where five family generations have since resided. 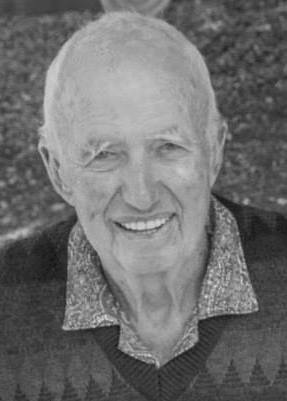 Jack joined the Boulder Creek Fire Department in the 1960s as a firefighter for several years, later returning as fire commissioner in 1991 where he maintained this ranking until the week of his passing. Jack is survived by his wife of 50 years, Renee, children Diane Ruby of Chico, David Philleo of Scotts Valley, Jerryne King of Scotts Valley, John Kuehl of Monterey and Steve Kuehl of Boulder Creek. He has three sisters, Phyllis Starkey in Florida, Marsha Velders in Illinois and Karen Barworth in Colorado. He also has nine grandchildren, and two great-grandchildren. Jack requested that any donations in his memory be made to the Boulder Creek Fire Department or Hospice of Santa Cruz County. At Jack’s request no services are being planned. If anyone has any remembrances Renee has asked for those people to please contact her.